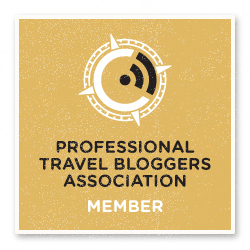 Are you looking for info about responsible travel in Australia? 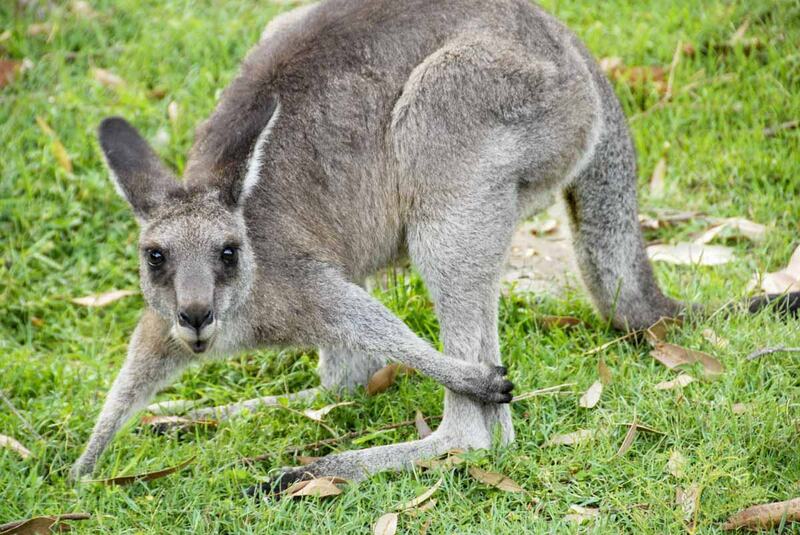 Here are 6 ethical animal encounters you can have during your time Down Under, allowing you to get close to native animals without harming them and supporting places that work hard to ensure their survival in the wild. The first time I visited Australia in 2005, all I wanted to do was cuddling a koala. Koala had been in my top three favourite animals ever since I was a little girl (together with cats and foxes, of course) and I couldn’t believe I was actually going to the part of the world where koalas came from. Seeing a koala from the other side of a fence in a zoo was not enough – I wanted to touch one, hold one, bury my face into their fur. It wasn’t easy to find a place that would allow koala cuddling, but thanks to my mother in law, I finally succeeded. It was in a small zoo, which probably doesn’t exist anymore. She knew the zookeeper and, even though on paper koala cuddling wasn’t allowed, she told me to stand in a specific place until the koala climbed across an eucalyptus branch, and straight into my arms. 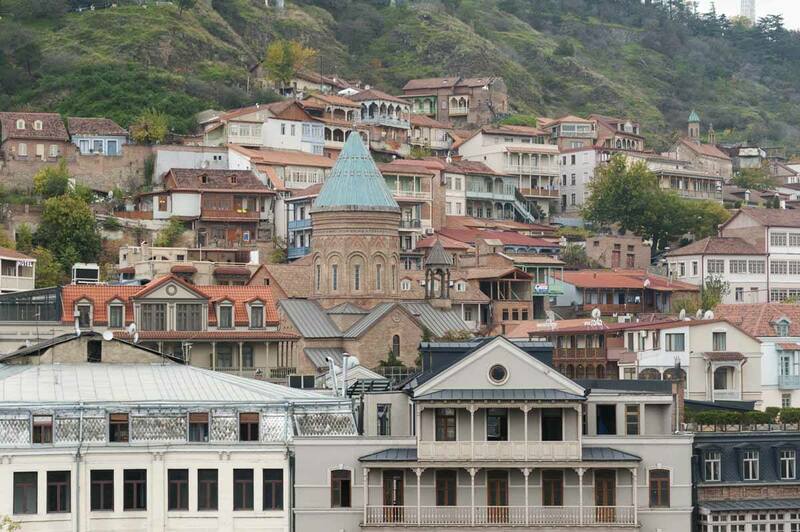 That was one of my most unforgettable travel moments. True, their fur was spindly, not soft as I expected, and their claws scratched my skin – but I was ecstatic. And this is the whole problem – more often than not, when interacting with animals, we focus on OUR happiness, OUR experience. We forget to consider what animals are feeling – whether interacting with us makes them feel nervous, distressed or threatened. Many koala cuddling ‘supporters’ (read businesses) claim that cuddling has little or no effect on their wellbeing – I found no scientific evidence claiming this to be the case. However, being surrounded and handled by strangers, blinded with camera flashes and dumped in and out of people’s arms can’t very well be pleasant for an animal that spends most of its life in the wild sleeping, can it? The New Scientist agrees with me. 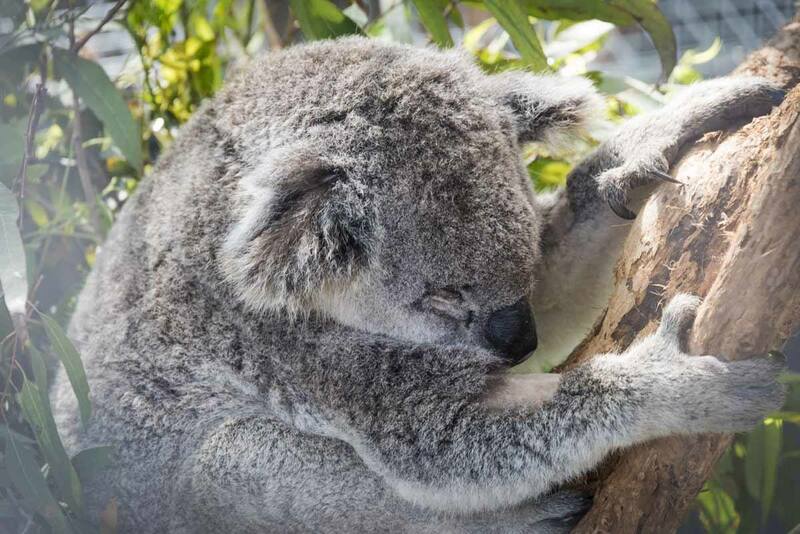 Nowadays, koala cuddling is illegal in all Australian states and territories besides Queensland. 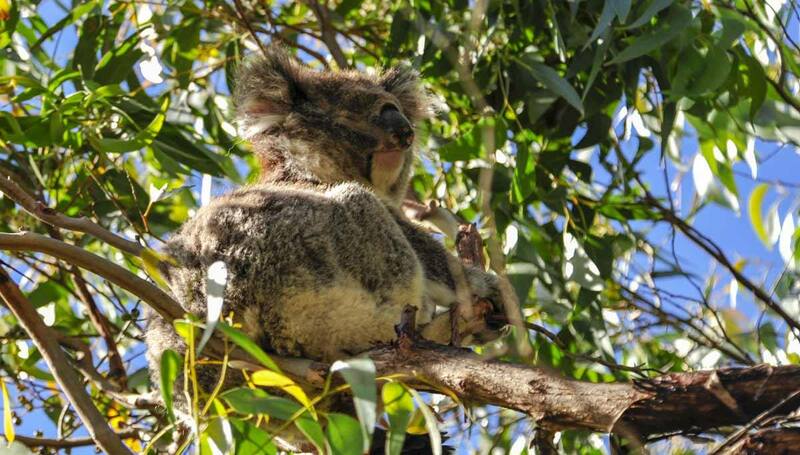 But guess what – there are plenty of ways to get up close and personal with Australian wildlife in a completely responsible manner, while supporting conservation. Similar to what we did with our article about responsible travel in South Africa, we have listed 6 ethical animal encounters from all over Australia – some we experienced ourselves, others are still on our bucket list. We’ll probably head back to Oz later this year, so let’s see! 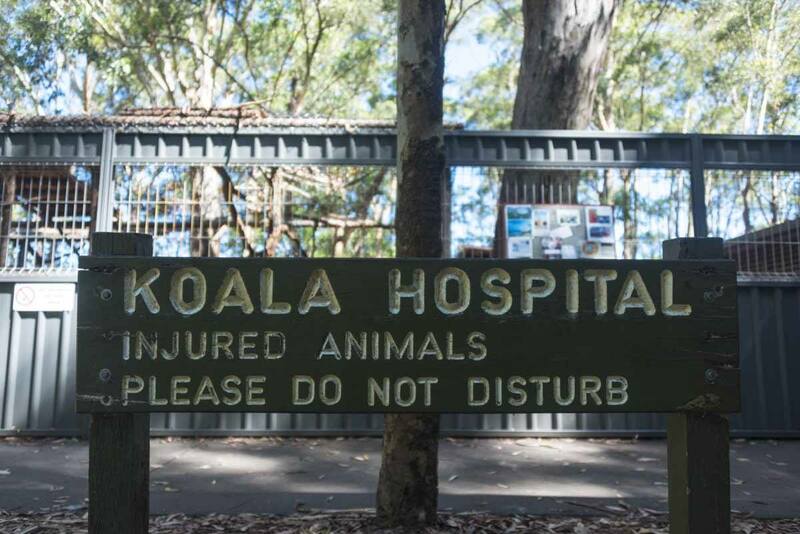 If you find yourself road tripping the east coast of Australia, make sure you stop in Port Macquarie to pay a visit to the koala hospital, a not-for-profit organisation established in 1973 to care for sick and injured koalas. The little furry critters come into the hospital’s care for a variety of reasons – the most common ones are bacterial infections, road traffic accidents and dog attacks. 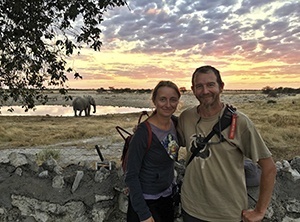 The hospital has intensive care units as well as outdoor rehabilitation units – reintroduction into the wild is always the aim, whenever possible. You can’t touch or hold a koala at the hospital, but you can join the daily guided tour un by volunteers, taking visitors through the hospital spaces and sharing information and anecdotes about the koala ‘guests’. And guess what – admission is donation-based. 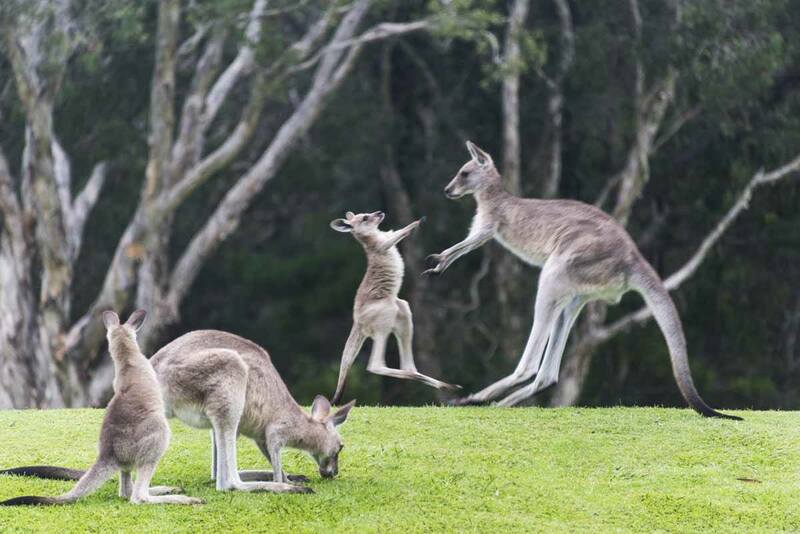 It’s not hard to see kangaroos while in Australia – just head to any golf course at sunset and chances are you’ll see a dozen or more, munching on the grass and hopping back and forth. If you’re in the Red Centre and seeing kangaroos from a distance is not enough for you, the Kangaroo Sanctuary should be on your list. I didn’t visit it myself, but it came highly recommended by a person I really trust. 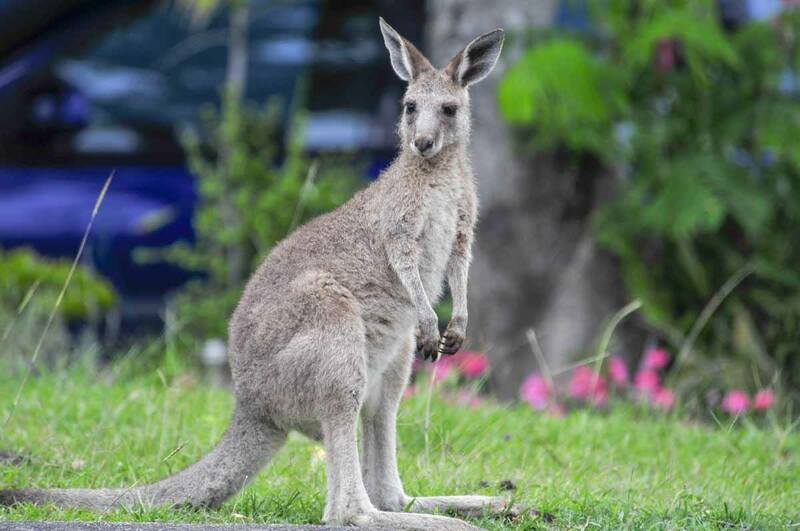 The Kangaroo Sanctuary was opened by Brolga, a local guy who started rescuing orphaned baby kangaroos and nursing them back to health, before releasing them into their habitat. It was only a tin shack at first, but it grew into an actual hospital thanks to donations and tour profits after Brolga was featured on several wildlife documentaries. Nowadays, Brolga continues on his mission to rescue and rehabilitate orphaned and injured kangaroos, and runs sunset tours of the sanctuary whose profits help support conservation efforts. On top of that, the sanctuary also aims to encourage people to become involved with wildlife care. 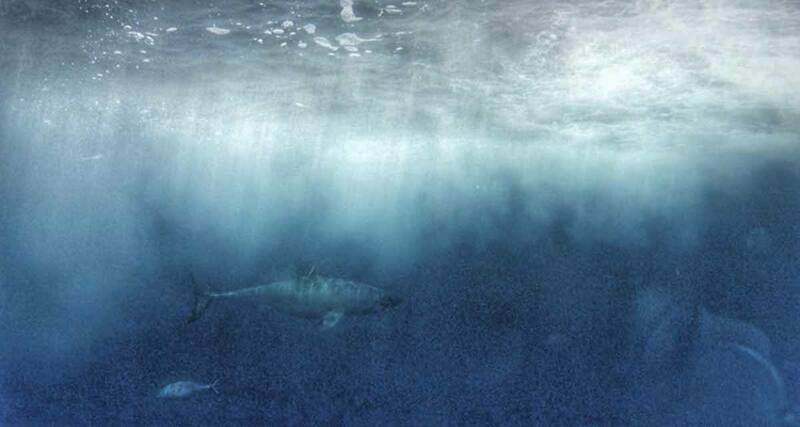 Cage diving with great whites is another one of Australia’s great ‘bucket list’ moments – standing in a submerged cage and seeing one of those giants of the abyss coming at you with their bloody fangs and mouth open wide would be thrilling, right? Many people don’t realise that most cage-diving operators use chum to attract sharks to the cage, foul-smelling buckets of fish blood and entrails that get thrown into the water making the sharks believe it’s food. Chumming works indeed, but it is an alteration of the sharks’ natural behaviour, and it has been linked with a rise in shark attacks on humans. After all, it amounts to pure and simple conditioning. The town of Port Lincoln on the South Australian coast is the country’s shark diving capital. Adventure Bay Charters is pioneering an eco-friendly way to dive with sharks, using music instead of chum to attract sharks to the boat. I visited Port Lincoln two years ago and wrote an entire article on my ethical shark diving experience. Many backpackers still opt for ‘traditional’ shark diving operations as it is more likely for sharks to get close – please support Adventure Bay Charters if you find yourself in Port Lincoln, as their environmental efforts are admirable. 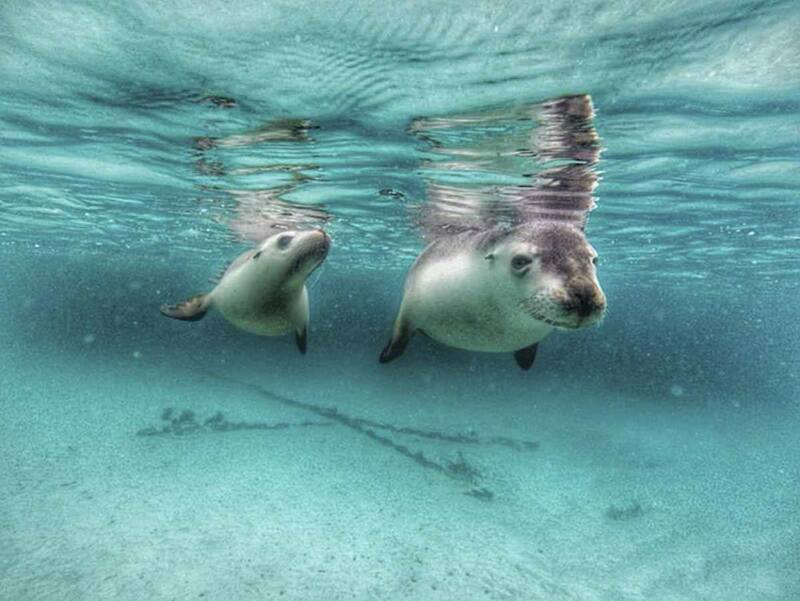 I’ve never been to Ningaloo Reef but… here are some sea lions in South Australia! Ningaloo Reef is one of the top places on my bucket list. This location in Western Australia is perhaps the only place in the world where you can snorkel with whale sharks in a responsible manner – the animals are not baited, nor enticed to come close to the boats with tricks. On top of that, the numbers and behaviour of snorkelers are strictly monitored. Recently, operators in Ningaloo Reef started offering humpback whale snorkeling experiences. Just like whale shark tours, these come with a hefty price tag, but you can rest assured that the animal’s wellbeing always comes first, and that your experience will be unforgettable. 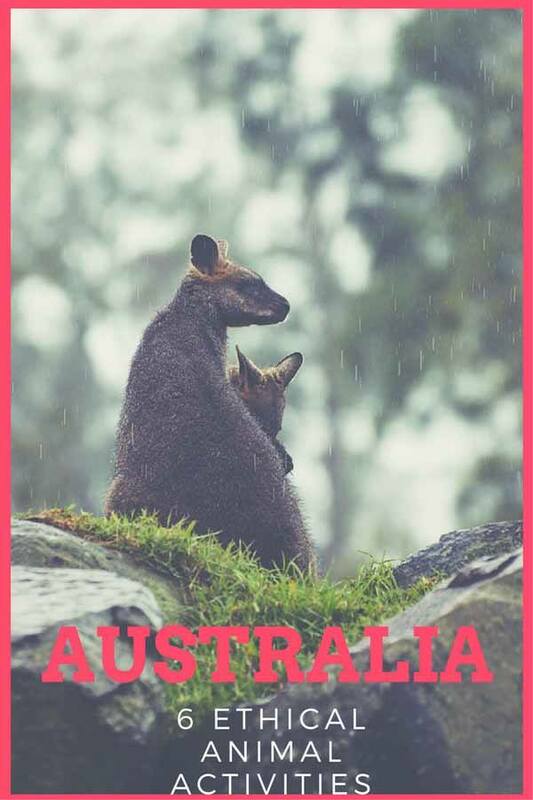 This is one of Australia’s most affordable and accessible wildlife attractions, being located only an hour or so from Melbourne and costing only $25 AUD to enter. 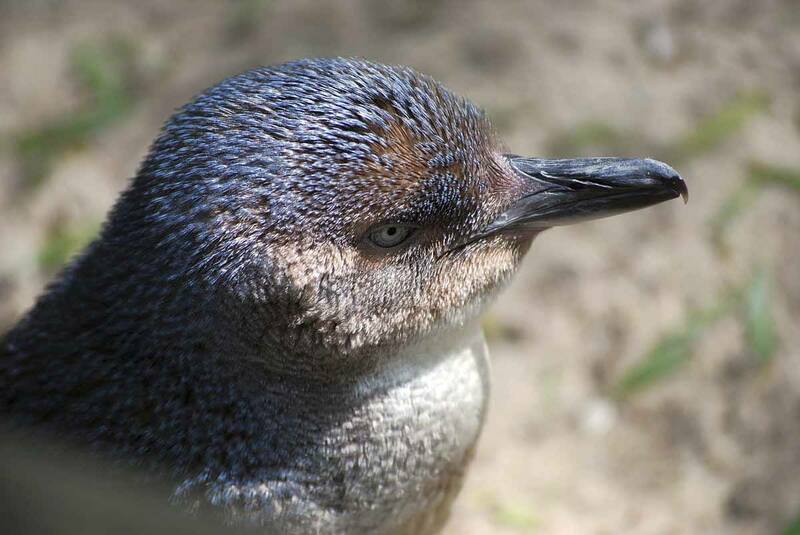 Phillip Island is home to 70,000 fairy penguins, the smallest penguin species in the world, measuring only up to 30 cm height when fully grown. Every night, the fairy penguins of Phillip Island return to the shore after a day’s fishing, attracting huge crowds that flock to the island to see this cute, waddling mini-penguin parade. There are boardwalks and viewing platforms available for visitors, ensuring no contact between humans and penguins. 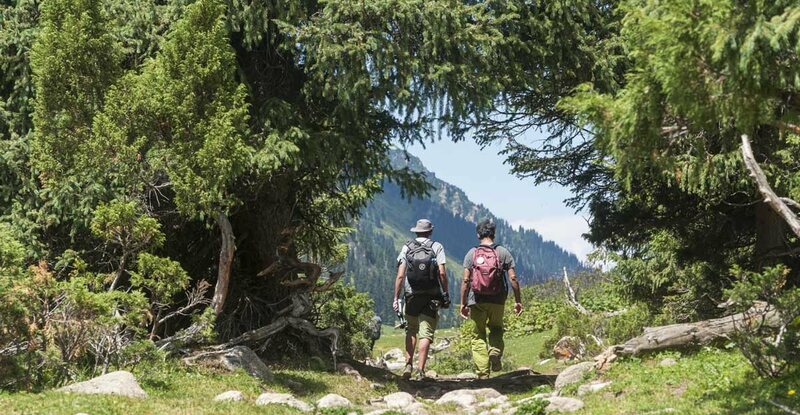 It does feel ‘touristy’, but it’s one of the longest running and most established ecotourism success stories, as profits from ticket sales have successfully been used to further a series of conservation projects. Can you see the cute grin on the quokka’s face? Melbourne has Phillip Island, while Perth has Rottnest Island, a popular weekend getaway about 90 minutes away by ferry. Rottnest is pretty much synonym to quokka, being the only place in Australia where these cute marsupials can be reliably seen – there are about 14,000 quokkas left in the wild, and 12,000 of them are on Rottnest. Quokkas are about the size of a cat, and they’ve recently become well known on Instagram because their facial features makes them look as if they’re always smiling. After a few viral Insta post, now getting a ‘quokka selfie’ is another bucket list activity, made easier by the fact that quokkas are friendly and habituated to people. You don’t need to join a tour to see the quokka, they’re easy to spot just wandering around Rottnest Island in the late afternoon, so in theory there’s nothing to stop people from trying to get a selfie – provided you exercise caution, don’t overstep their boundaries and NEVER, EVER feed them. 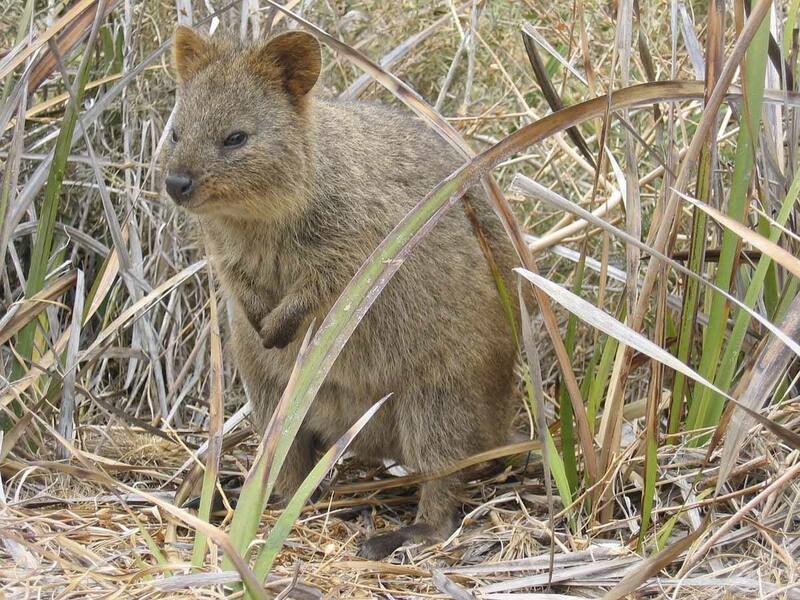 Food like crisps or sandwiches can cause infections and leading the quokkas to a premature death. So by all means snap away, but use your common sense! 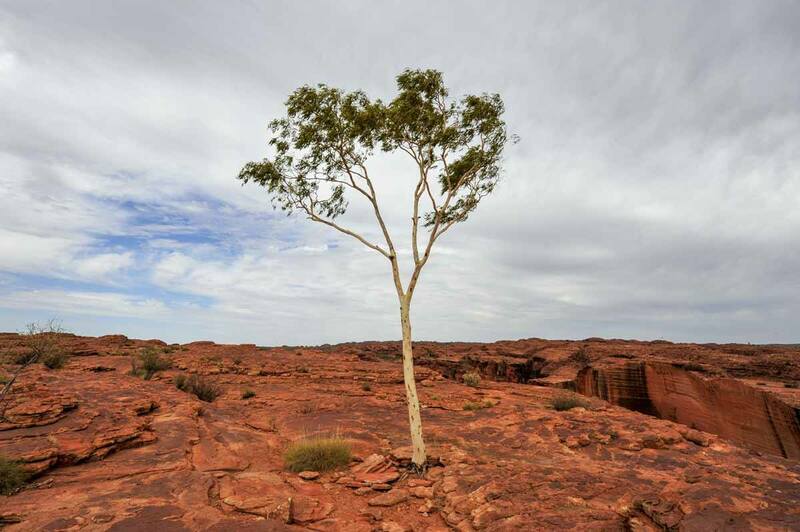 Australia is a huge country, and the easiest way to get around if you’re pressed with time is definitely flying – however, we all know that plane travel comes with a huge environmental footprint, and limiting flights is the #1 rule for responsible travellers. 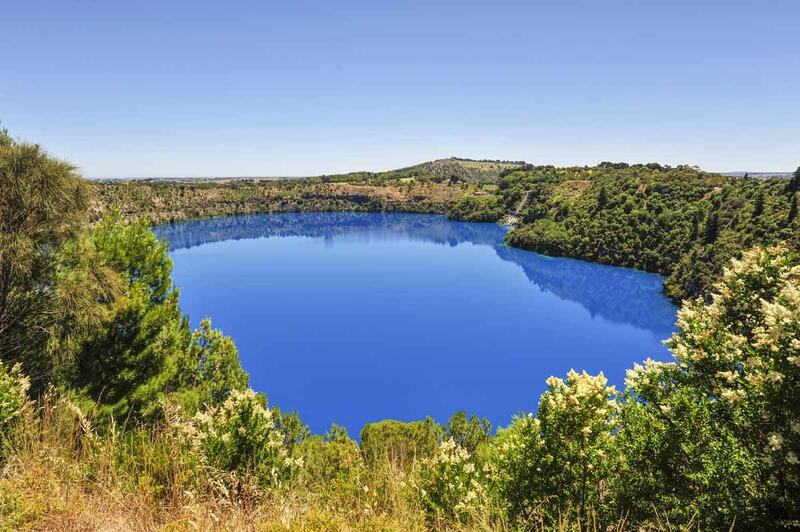 This is Mount Gambier, one of our favourite surprises while road tripping Australia! Considering that it’s very difficult to rely on trains and buses in Australia, the best way to move around the country is road tripping – and if you’re planning to spend extended periods of time Down Under, it’s more convenient to buy a car or van than it is to rent. A station wagon can easily be converted to sleep in the back, or you can use a trailer to hitch to the back of your car to store your camping and cooking equipment. With a car and trailer, you can wild camp in many places around Australia, where you can be completely alone with nature – we slept in a place where we were surrounded by koala sleeping on trees, and in another where we saw too many kangaroos to count. Gumtree is always a very good place to start, with lots (or as they say in Australia, heaps) of second-hand announcements for cars, vans and trailers, and always very good deals to be had! 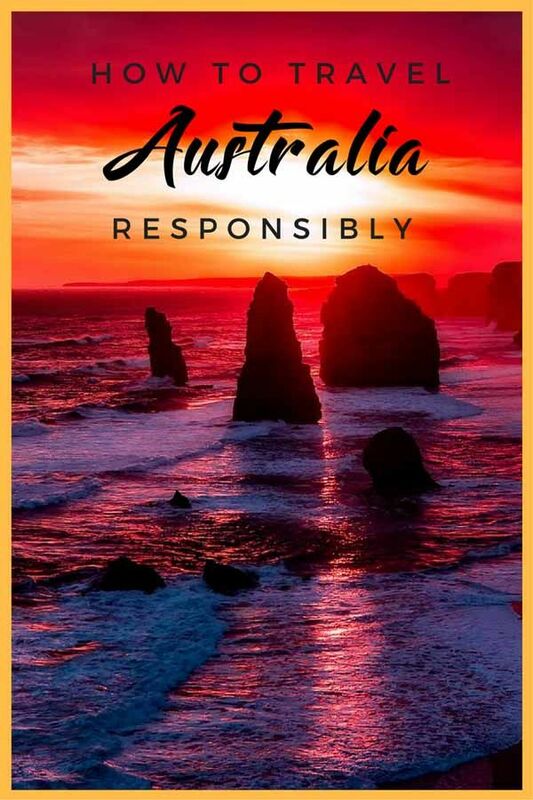 Do you have any other tips for responsible travel in Australia? Let us know in the comments!